TORONTO – Sears Canada Inc. plans to close 59 stores across the country putting 2,900 jobs on the chopping block as part of its restructuring plan. The company filed for court protection from its creditors. The locations include the Sears at 2399 Parkedale Avenue East in Brockville and the Cornwall Outlet store at 1 Water Street. 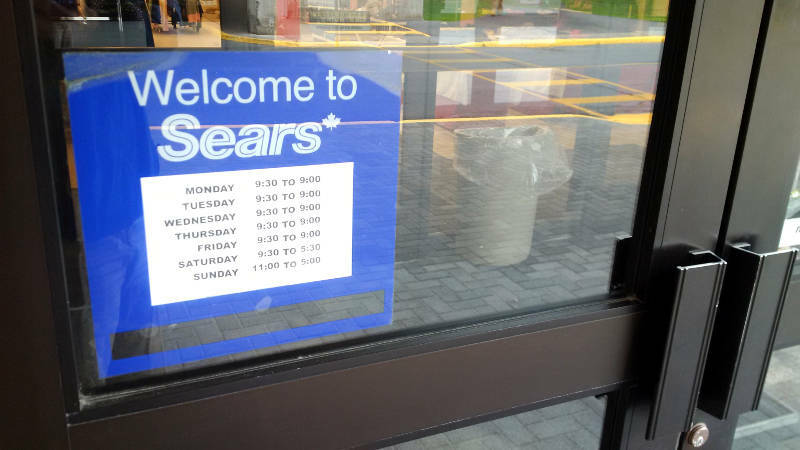 Here’s a breakdown of the 59 stores: 10 Sears Outlet, 20 full-line locations, 15 Sears Home and 14 Sears Hometown locations. Shares in Sears Canada were halted on the Toronto Stock Exchange this morning as the company was granted protection from creditors under the Companies’ Creditors Arrangement Act. Prior to today’s restructuring, Sears Canada had 94 department stores, 23 Sears Home stores and 10 outlets across Canada.